The Paterson Force Film Washer hose fits most domestic taps and is designed to plug into the the Paterson developing tanks. Connect it and let the water do the rest. 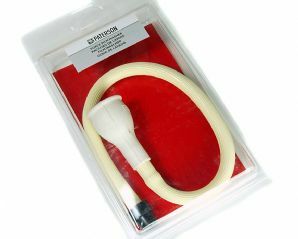 - or an electric shower unit can be used set to low temperature - remove the shower head from the shower hose and connect the Paterson hose.